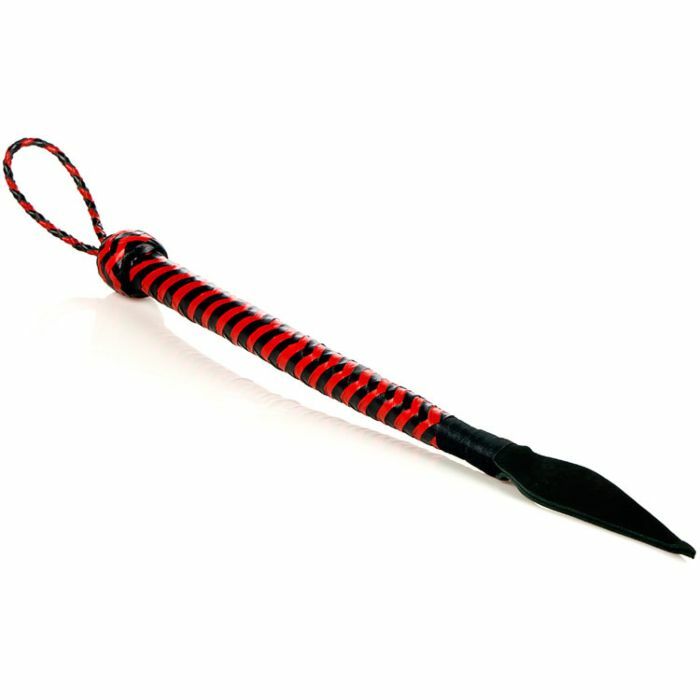 This is one of Uberkinky's favourite whips, not only does the Devils Tail look devilish it delivers such a crack from the leather tip that you'll feel like you're on fire(or more to the point, your sub will). It's delicious! The handle is wrapped in black and red leather straps and there is a wrist strap for greater control, but we know once you have the Devils Tail Whip in your hand you won't let it go!